IRVINE, Calif., Sept. 26, 2017 /PRNewswire/ -- Phoenix Audio Technologies announced today that its Board of Directors has chosen Jacob Marash as the new Chief Executive Officer effective September 1st 2017. 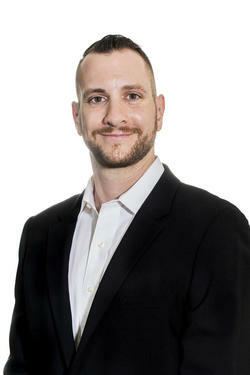 Jacob Marash will succeed Joseph Marash, who has led Phoenix Audio since its inception in 2004. Joseph will continue to play a key role in the management and leadership of the company and remain Chairman of the Board of Directors. "After 14 fruitful years, it's time for a changing of the guard," says Joseph Marash. "Jacob has been an officer in the company for seven years, so this isn't new territory for him. I'm sure he will do a great job and take the company to the next level." Jacob will continue advancing the company's goal of being the leading designer and manufacturer of simple-to-install and user-friendly high-end audio for conferencing. "I am thrilled to be taking on this new role in the company," says Jacob Marash. "As CEO, my first priority is to lead the company in accordance with our mission statement. We believe that you don't have to be an audio engineer to have great audio in your conference rooms. This concept will be at the core of all future initiatives. We want to make sure that our customers enjoy using our products and that we provide a seamless audio experience in a world that keeps advancing technologically." Mr. Marash moves into the position after more than nine years at Phoenix Audio, most recently as the Chief Operating Officer. As the new CEO, Jacob plans to expand company growth and development by bringing the technology side and sales side of Phoenix Audio closer together. This initiative aims to encourage group collaboration in order to enhance the product design process and perfect the end user's experience. "I look forward to future successes with the Phoenix Audio team. Together, we will continue to create innovative products for our community of users. I also want to take this opportunity to recognize Joseph Marash for his innumerable contributions to the company. His continued support will be a critical element in the great things that are to come." In 2006, Jacob completed his role in the Israeli Defense Forces at the rank of First Lieutenant. After his service as an officer in the Givati Infantry Brigade of the IDF, Jacob returned to his home state of New York where he studied Computer Science at the Polytechnic Institute of NYU. After transferring to California, he completed his BS in Computer Science at the University of California, Irvine. Jacob has been working at Phoenix Audio Technologies since 2008, starting on the technical side and then moving into operational roles. After getting his BS in 2010, he assumed the position of COO and opened Phoenix Audio's first West Coast office, which today acts as the corporate headquarters. In 2015, Jacob began the Executive MBA program at the UCLA Anderson School of Business and recently graduated with a Master's Degree in Business Administration. Based in Southern California, Phoenix Audio Technologies is an innovator of audio communication solutions. The company strives to provide audio and video conferencing environments with simple-to-install, easy-to-use, high quality audio. Phoenix Audio's proprietary audio algorithms aim to improve the communication experience and enable people to speak freely and naturally when collaborating. To learn more, visit www.phnxaudio.com. \"After 14 fruitful years, it's time for a changing of the guard,\" says Joseph Marash. \"Jacob has been an officer in the company for seven years, so this isn't new territory for him. I'm sure he will do a great job and take the company to the next level.\"
Jacob will continue advancing the company's goal of being the leading designer and manufacturer of simple-to-install and user-friendly high-end audio for conferencing. \"I am thrilled to be taking on this new role in the company,\" says Jacob Marash. \"As CEO, my first priority is to lead the company in accordance with our mission statement. We believe that you don't have to be an audio engineer to have great audio in your conference rooms. This concept will be at the core of all future initiatives. We want to make sure that our customers enjoy using our products and that we provide a seamless audio experience in a world that keeps advancing technologically.\"
\"I look forward to future successes with the Phoenix Audio team. Together, we will continue to create innovative products for our community of users. I also want to take this opportunity to recognize Joseph Marash for his innumerable contributions to the company. His continued support will be a critical element in the great things that are to come.\"